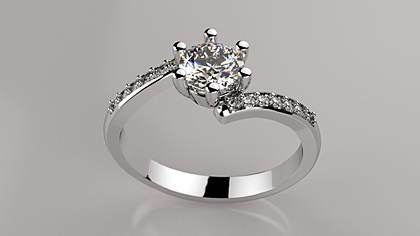 Welcome to our RhinoGold 6.5 / 6.6 Training. My name is Rik and I will be taking you through the lessons. 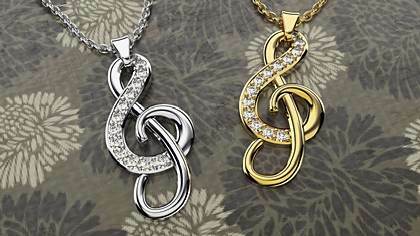 A quick introduction on how to use this site, and navigate the lessons. 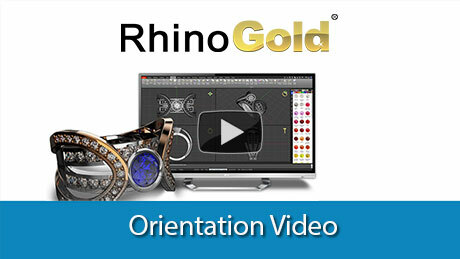 RhinoGold 6.5 / 6.6 Orientation for new users - zoom, rotate, show/hide objects. 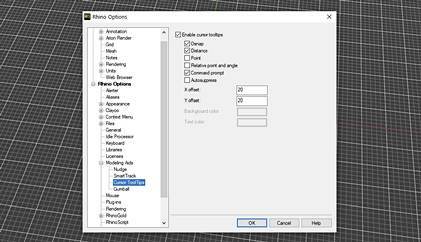 Some useful settings to assist with your drawing & modeling in RhinoGold. 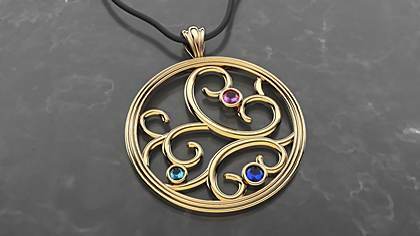 Download this template file with additional layer colors for Curves, Metal, & Gems. 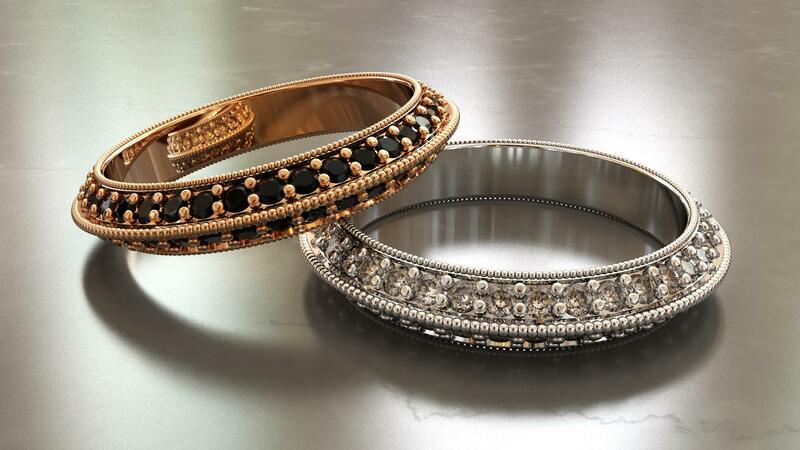 Learn how to use Object Snaps to ensure accuracy when modeling in RhinoGold. 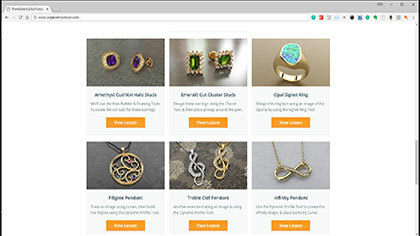 Use the Elements Library of editable designs to get a fast start to your designs. 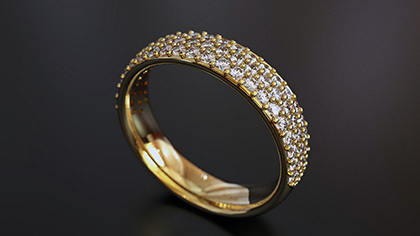 Use the Advanced Ring Curve & Head Studio to create this by pass ring. 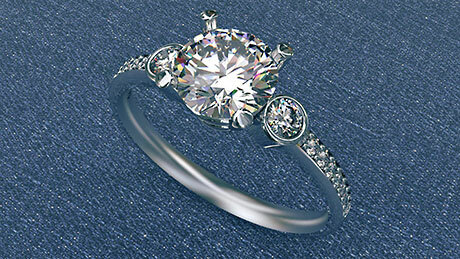 Learn how to create this 3-stone ring using the Head Studio, & Advanced Ring Curve. 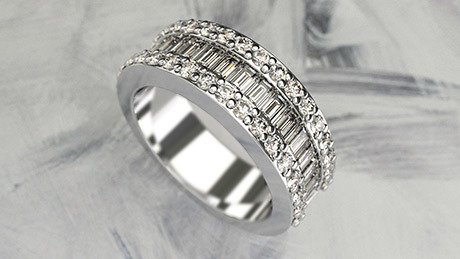 Using Drawing Tools to create the curves to make this Cathedral Ring Shank. 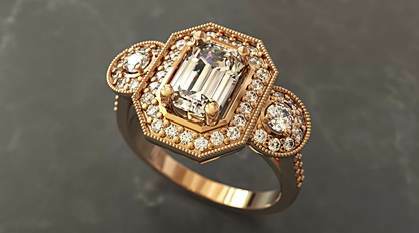 Create this ring by drawing curves, then use the Gems by Curve to place the gems. 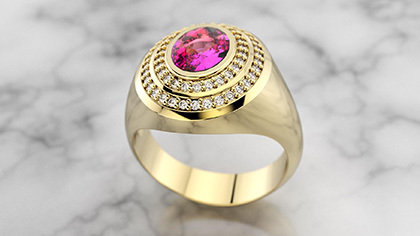 RhinoGold Pro: use the Advanced Split Shank Tool & Head Studio in this lesson. 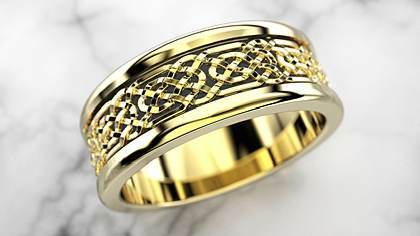 Learn to use the Celtic Knot tool & the Texture 3D tool to create this Celtic Ring. 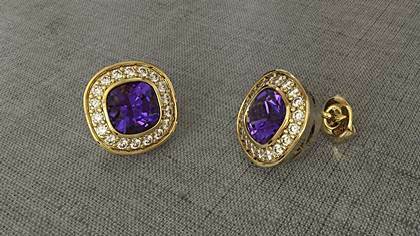 We'll use the Halo Builder & Drawing Tools to create the cut outs for these earrings. 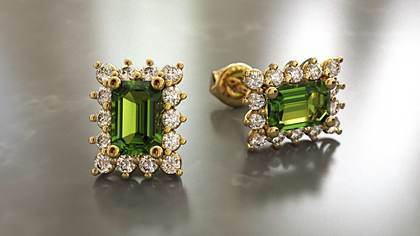 Design these earrings using the Cluster Tool, & then place prongs around the gem. 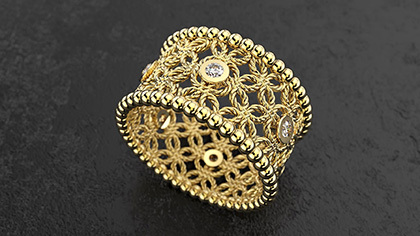 Trace an image using curves, then build the filigree using the Dynamic Profile Tool. Another exercise tracing an image & using the Dynamic Profile Tool. 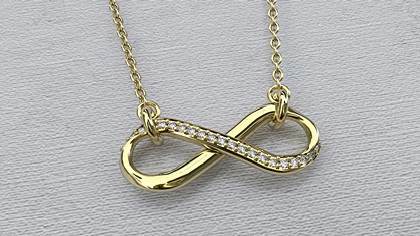 Use the Dynamic Profile Tool to create this infinity shape, & place Gems by Curve. 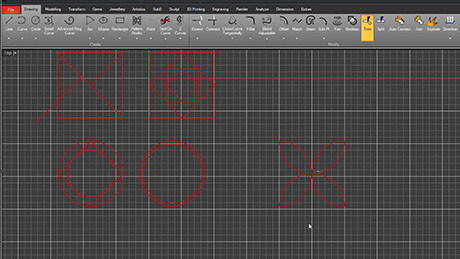 Design this pattern using the Texture 3D Tool & learn a trick using the Halo Builder. 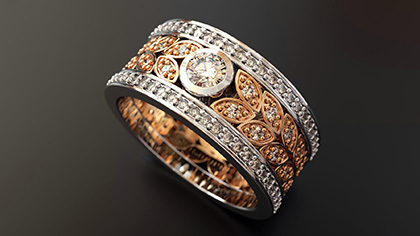 RhinoGold Pro: make this ring using the Halo Builder & Cathedral Ring Tool. 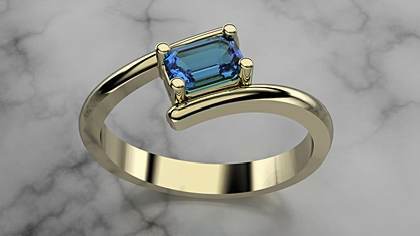 Create this ring using the Pave UV & Pave from Gems tool in RhinoGold. 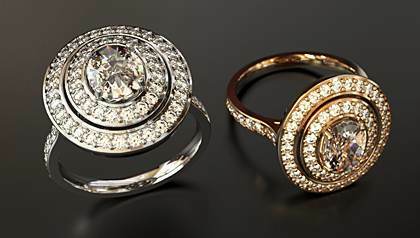 Create this unique double halo design using the Signet Ring Tool. 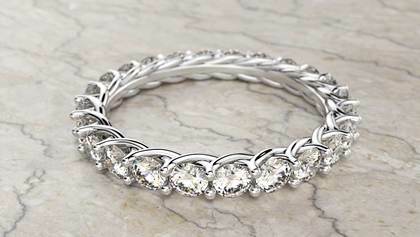 Create this alternating Brilliant /Princess cut Eternity Ring. 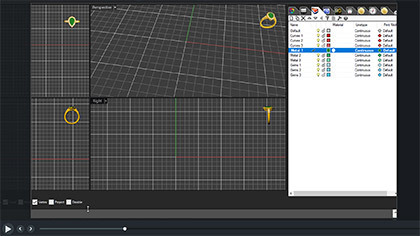 In this lesson you'll be editing curves, & using the Pipe Tool & Dynamic Array. 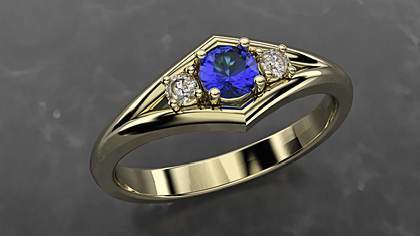 RhinoGold Pro: A lesson using the Halo Builder, Cathedral Shank, & Millgrain tool. 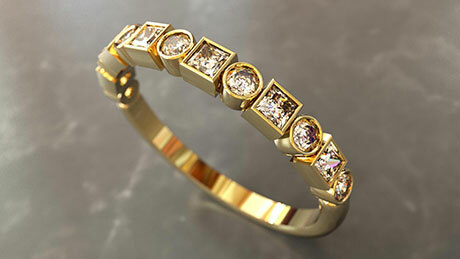 Use the Sweep 1 Rail command to quickly create this cross-over band. 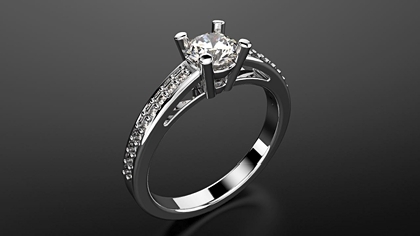 Use the "Rope Tool", & "Ring by Objects" to create this contemporary design. 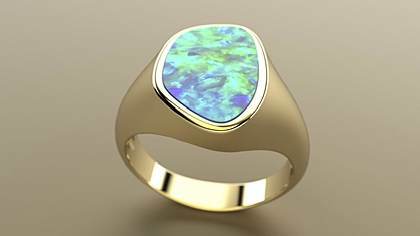 Design this ring by tracing an image of the Opal & by using the Signet Ring Tool. 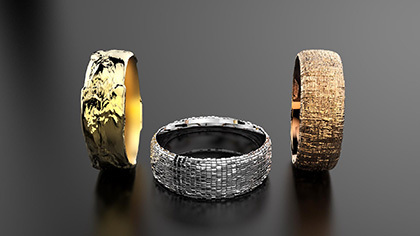 Add a point of difference to your wedding bands using the Texture 3D tool. 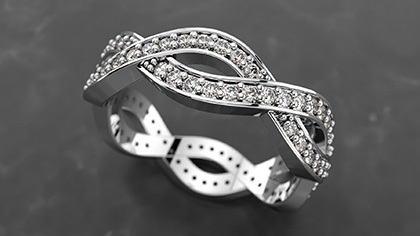 Use the Flow Curve command to design this ring band with repeating leaf motif. 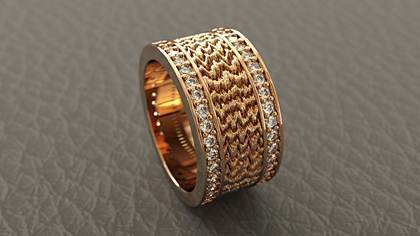 This ring is made using the "channel" tool , & a custom cutter for the baguettes.